When you’re stuck on what gift to give a loved one, one of the best options is a gift basket. I mean, who wouldn’t love a basket filled with goodies they can enjoy for several days on end? Whether it’s for your mother, your brother, your teacher, or your little sister, we’ve got a list of 12 wonderful gift basket ideas they are sure to adore. 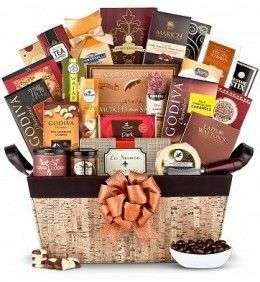 One of the most popular and all time favorite gift basket ideas is, of course, the decadent chocolate filled gift basket. This gift basket is made up of only the most delicious and luscious chocolate treats, from white chocolate truffles to raspberry filled pieces that will delight and enchant the taste buds. Making one of these is easy: just fill it with chocolate! Maybe the person you’re buying for isn’t a big chocolate fan. (I know, it’s hard to believe, but yes these people do exist out there!) In this case of anti-chocolate, we invite you to fill their gift basket with other tasty treats they DO enjoy. Are they a sour candy fan? Line their basket with the most sourest treats on the market, from Sour Patch Kids to Warheads and everything in between. Do they prefer something a bit more sweet? Try a basket of Skittles and Gummy Bears. You can’t go wrong! A wine lover would love nothing more than a bag full of wine and wine accessories. Find out what their absolute favorite flavor of wine is, add it to the basket, and then find some other cool accessories like a gorgeous wine glass, corkscrew (they have some really need electric ones on the market right now! ), even some delicious cheeses or chocolates to pair up with their wine flavor of choice. Highly sophisticated and definitely something every wine connoisseur will appreciate. And then there’s those people who prefer a pizza and a beer over wine and a steak. And that’s perfectly okay! 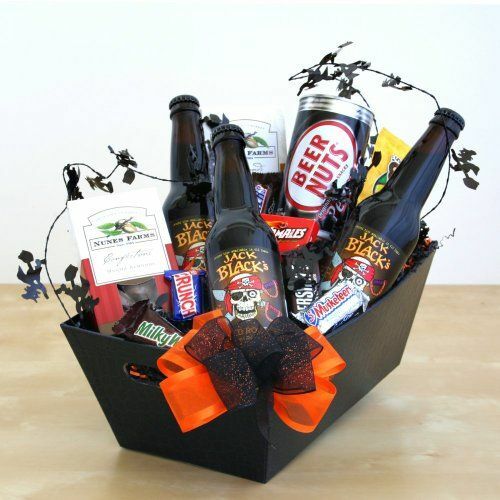 Instead of a wine bottle and glass, fill their kickback gift basket with a few of their favorite brews and maybe a few coupons for some yummy pizza places in your area. You might also want to find a cool beer holder or bottle cap opener to throw in too! Who doesn’t love food? A food gift basket is super easy and can be filled with basically anything. Is your loved one a vegan? Find some tasty vegan foods they can enjoy all year long. Perhaps they’re really into body building? Load it up with some tasty protein-packed treats and foods that won’t hurt their bulking or their muscles. People who love to bake ALWAYS love to get new baking items. 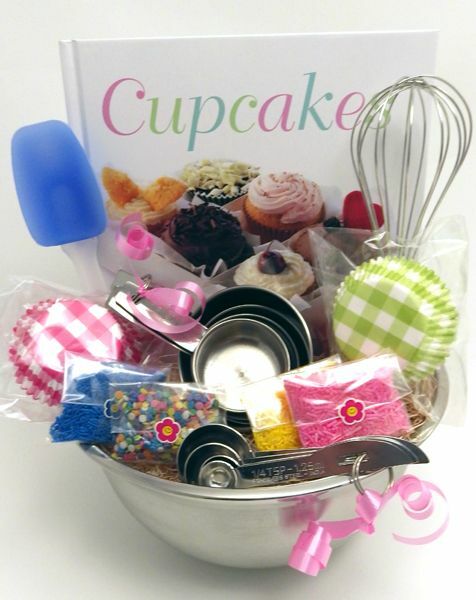 For the baker in your life, fill their gift basket up with some easy cookie or brownie mixes and throw in some cute and handy utensils like a scooper, pan, maybe some cookie cutters- you get the idea! Okay, so we all like movies. So of course this is a wonderful gift basket idea! Just make sure you find out what kind of movie your gift-receiver is into you. You’d hate to give them a basket full of romance movies when they actually love nothing more than a scary horror film. 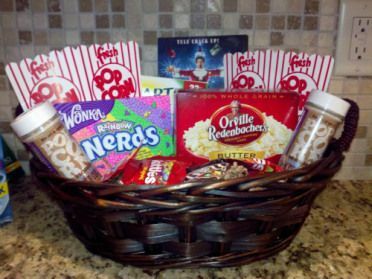 Put a few movies they’re sure to enjoy inside the basket, and add some popcorn, candies, maybe even a neck rest so they can relax and enjoy the show. 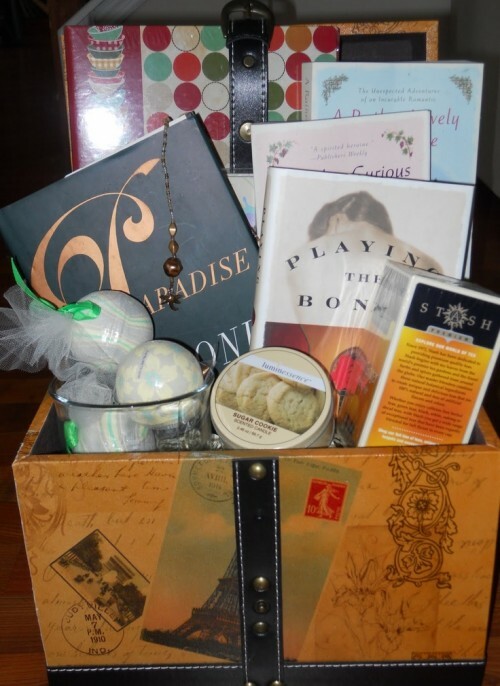 For those out there who love a good book, this gift basket is for you! A book lover might enjoy a few new and popular books as well as some snacks to munch on while they read, a book light to keep them engaged even when the lights are off, coffees or teas they enjoy, and a cute little pillow to rest their heads as they enjoy the enchanting lines of text before them. And if they wear reading glasses, now might be the time to throw in a new and super cute pair! 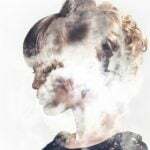 We all know how incredibly stressful life can be. We work all week, workout 3 times a week, have school 2 times a week, and on top of that have to come home, clean, take care of our pets, and so on and so forth. 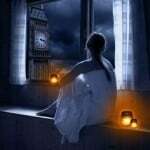 Let’s just say we could ALL use a serious break! That’s why the ‘Spa Day’ gift basket is an EXCELLENT choice! Fill this gift basket up with some spa-related accessories like bath beads, body lotion, body butter, candles- basically everything this person will need to relax, rewind, and enjoy. A lot of men and women have this slight obsession with fragrances. If this sounds like someone you might know, they you may want to consider this special gift basket. All you need is tons and tons of delicious smelling fragrances. Easy-peasy, right? 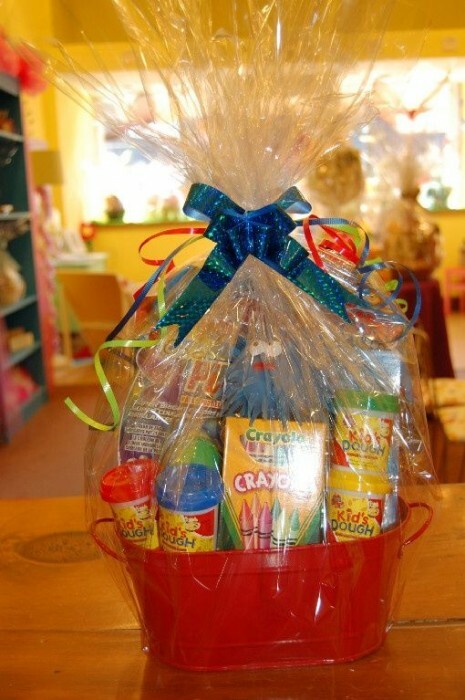 Creating a gift basket for a kid? No problem! 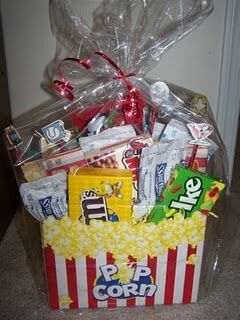 Gift baskets for kids are incredibly easy AND fun! Simply fill up their baskets with the things kids love: dolls, cars, books, crayons, play doh- you know, those things you enjoyed as a kid. So before you start stressing over what you’re going to get that certain someone in your life, always remember the ever-popular gift basket. 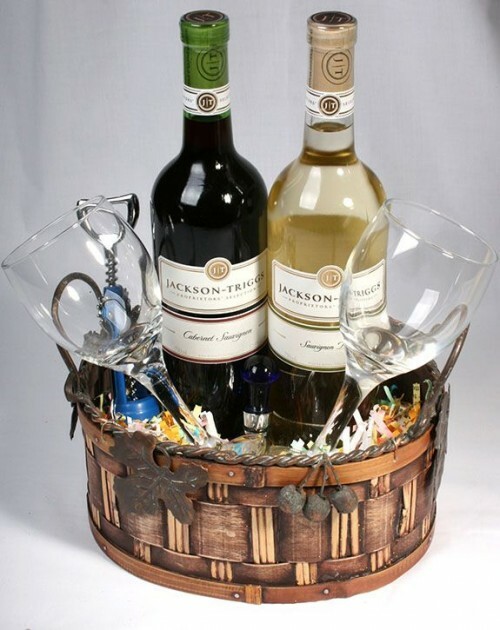 You can easily buy pre-made gift baskets online, or create your own! It’s really fun and easy and they will love the personalization! 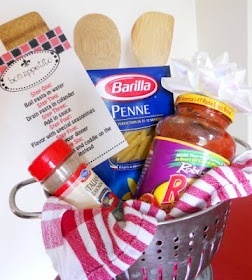 Have you ever made a gift basket? What did you put in it? Great gift ideas! For the foodie, a gourmet hamper will make her day extra special. That is an awesome idea. Plus, many food co-ops and farmer’s markets have great ideas for that.